LET’S FOCUS PEOPLE! « THE BRYCE IS RIGHT! – Are we really addressing the challenges of the day, or are we being distracted? 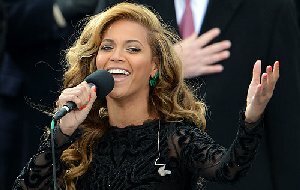 – Beyonce lip synched during the inauguration. – What clothes Michele or the children wore, or how they wore their hair. – Bill Clinton was caught ogling Kelly Clarkson. – Michelle was spotted rolling her eyes at House Speaker John Boehner. – The president’s speech focused on social reform. – Fixing our struggling economy. – Putting America back to work. – Reducing the federal deficit and debt. – Creating the first budget in four years. – Revising and enforcing our immigration policies. – Enacting a sane policy for energy independence. – Devising a standard and intelligent electoral process that doesn’t cost a fortune. – Revising our policies on federal lobbying. I made this comment off the cuff. I didn’t realize it would result in several “Likes” and “Shares” in the network, not to mention considerable feedback from my readers. I guess I had touched a nerve and was surprised by how many people felt likewise. It should be the media’s responsibility to keep us focused on the pressing issues of the day, not to distract us from them. Tabloid journalism is one thing, keeping the American public abreast of our challenges is another. It makes you question their motive and who they are working for, certainly not the people. I don’t care how the president tries to dress it up on February 12th, the State of the Union is not good. Whether you voted for the president or not, the facts are undeniable. The quandry though is what our priorities should be, the economy or social reform? Will we be proactive or reactive in how we address these problems? Our government only reacts to what they consider are the country’s highest priorities (with some miscellaneous pork thrown in). If the media contends Beyonce’s lip synch is more important than the federal debt, don’t look for the powers in Washington to be overly concerned with our $16.3 trillion debt, or with our GDP, unemployment, balance of exports, etc. Until such time as the American public demands more journalistic responsibility from the media, don’t look for our government to address the proper priorities of the people. Like I said, let’s focus people! This entry was posted on January 24, 2013 at 5:40 am	and is filed under Politics. Tagged: Florida, LET'S FOCUS PEOPLE, palm harbor, The Bryce is Right, tim bryce. You can follow any responses to this entry through the RSS 2.0 feed. You can leave a response, or trackback from your own site. What could two guys possibly say that would make a woman roll her eyes? Probably not something that should be on the news. Excellent post and I agree whole heartedly!! I really don’t care much for the any of the pomp and circumstance of the Inauguration– I’d just like to see the country get back on track. The sheeple are so easily led by the media that fine details are completely overlooked. Trouble is afoot “Watson.” WE must be alert to it. “What we don’t know about an issue and fail to question is what will, in the end, hurt us. I say now, beware of the wolf in sheep’s clothing… become educated and use your brain, don’t be influenced or distracted by the talking points of the media or politicians. “Tim, I’m beginning to think that most of the media has become tabloid. We can’t believe what we read and we suspect spin and cover ups. There is no trust or confidence in politicians or the media reports. We are all tired of the blaming, whining and incompetence. Our country has serious problems to solve. “Are you trying to say that Beyonce’s lip sinking is not the pressing issue of the day? You certainly wouldn’t be able to prove it by listening to the news, would you?